You can buy the DS Doll Evolution and Robotic Head right here, right now. The EVOLUTION is a completely remastered body, with added skin texture, sculpted physique and additional beauty. 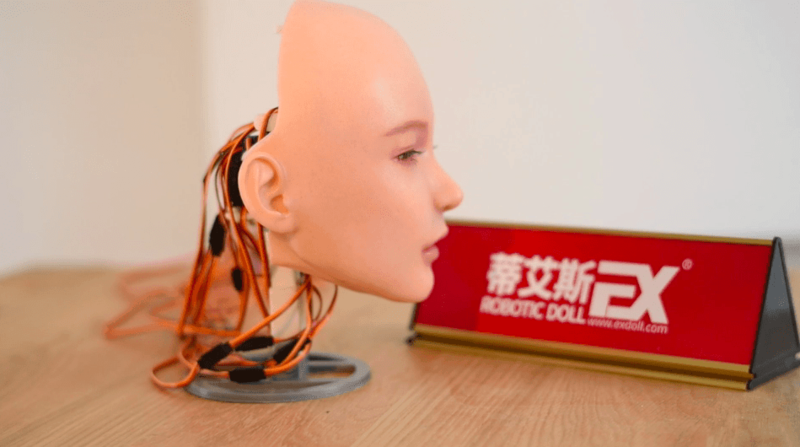 The Evolution Doll is 100% Compatible with the Robotic Head. The Feet have more definition with veins for realism. There is a new coating applied to give a more natural skin feel. The hands have been remastered to have more detail and to be proportionate to the doll. The Spine and Shoulderblades have been remodelled to have more definition and realism. Available to buy RIGHT NOW! You can buy your EVO Right now! You can choose from our S Studio Level Make Up faces with your Evolution, Sharon, Leaf, Kayla, Sammi and Nell. DS Platinum Silicone Dolls are built with a specially formulated silicone skin which give them a life like texture and softness which is far beyond that which traditional mannequins or lesser quality doll makers can deliver. We have developed a sophisticated metal skeleton and joining system that not only provides a reliable structural support for the doll but it also allows for full range of motion just like their human counterparts. The sub system allows our love dolls to be easily positioned into any natural pose and ensures a long lasting working life. We have developed a set of special procedures to extract the maximum amount of detail from the original mould. For most parts, predominantly the hands, feet and torso we use real live models to create the master mould for our beautiful Realistic Dolls and Robots. With our methods, we can extract so much detail from such mould we have to manually remove the natural finger prints from the master mould so as they are not replicated onto each of the realism dolls. "From start to finish each doll has to process through over 80 production stages and hundreds of hours. Each working stage is carry out by our team of professional sculptors, stylists and cosmeticians to ensure the highest finishing quality." When you checkout and place your order, you will receive an order confirmation number on screen and via email. Your doll will be manufactured and then shipped to the UK, for onward shipping to you on a convenient day. Arrival checks will be made upon entry to the UK. You will then be contacted to arrange delivery on a suitable day.